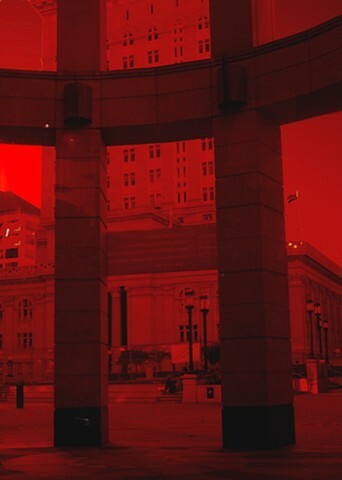 Amy M. Ho's immersive site-specific installations, curated by Zachary Royer Scholz for this solo exhibition at Pro Arts, explored imaginary space and the way we experience color in our everyday environment. Using wall-sized digital projections and subtle spatial alterations, Ho deftly choreographed environments that challenged viewers to rethink their presence not only in physical space, but also within the expanded virtual terrain new technologies have opened. 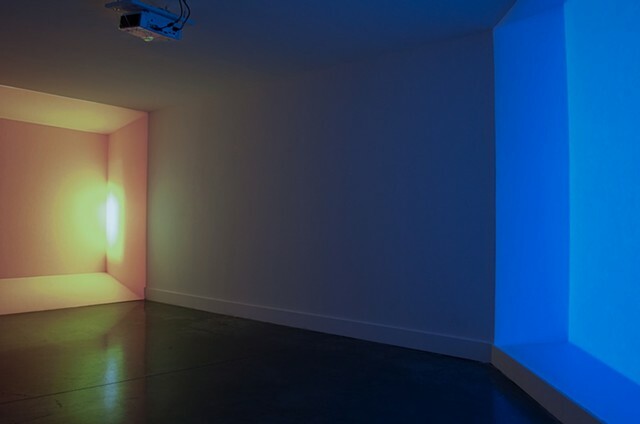 Room with Yellow and Diagonal Blue, 2012 was a commissioned, site-specific, two-channel video installation work. 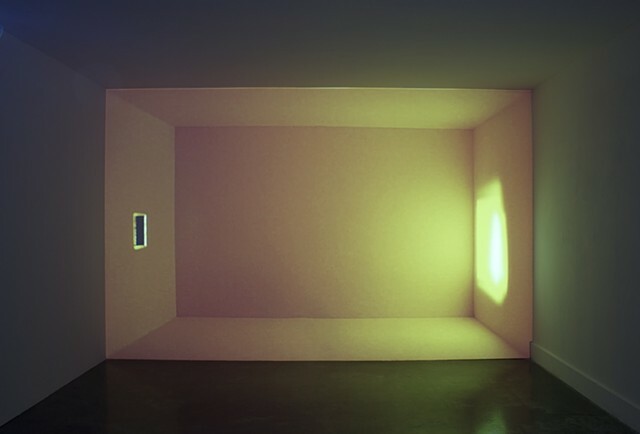 The image in the first of the two video projections optically extended the room into a space filled with a mysteriously moving yellow light shining through a small window. 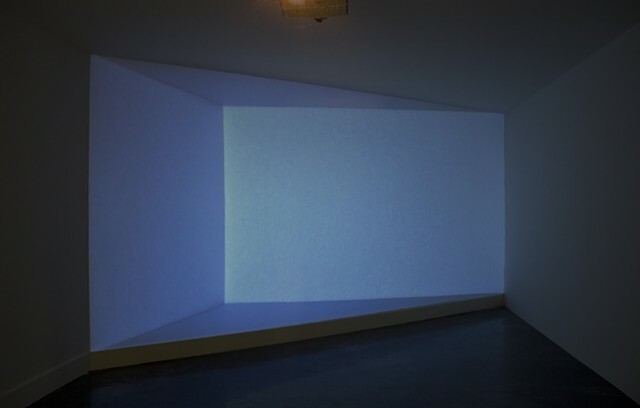 The second video projection, projected on an existing diagonal wall, optically added the blue-lit "missing" wedge of space, needed to make the room appear rectangular. 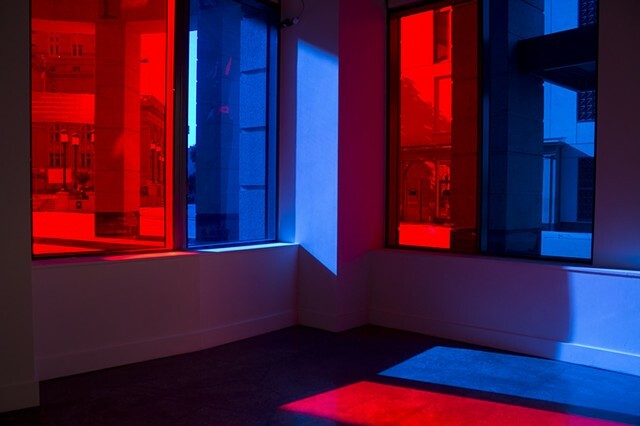 Sky in Red and Blue, 2012 was a commissioned, site-specific, physical intervention within ProArt's Gallery space. 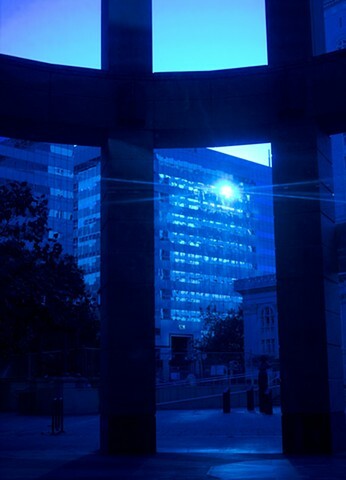 The piece appropriated the large full height windows opening onto Oakland's Frank Ogawa Plaza, covering them with red and blue polyester lighting gel, tinting the view of the outside world, and creating shifting planes of colored light within the gallery space.